Elisa and I went to the River City Quilt Guild show last Saturday. One it was a great opportunity for me to go to a show on a Saturday. Two it was a great show to go to. If you did not make it, you missed one of the best quilt shows around. Beautiful quilts. Great vendors. Demos. It was fun. There is going to be a quilt guild in Woodland! How great is this going to be! Come to a let's-get-together-and-discuss-the-guild meeting on Sunday, December 6th from 1 p.m. to 3 p.m. It will be on the 3rd floor of the Cranston Building. If you enter in the pass-through of the building either from the front or the back, there is an elevator to take you there. Whew! No stairs to climb. If you have questions, you can contact Diane Beard at Red Hen Quilts redhenquilts@earthlink.net or 530-661-6677 or go to their website at www.redhenquilts.com. Come and be part of the genesis of this new endeavor. Let us lend our support. Have you ever been to Brownsville CA? Charming community. 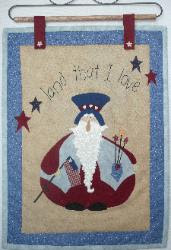 They have a great quilt guild, too. This weekend they had their annual quilt show. It was fun and very intimate. Beautiful quilts. I loved attending it. This next weekend is Roseville's guild's show at the Maidu Center in Roseville. I, for one, am looking forward to it. Gil and I went to Bodega Bay yesterday and spent the night. We had a great dinner and a great drive along the coast this morning. Then on the way back we stopped in a little town called Occidental. Too cute. Totally out of the way of anything or anywhere you might be going, but it is worth the drive. To get to Occidental you go in on a road named Bohemian Highway. When you get into town, you realize it could be named nothing else. Downtown is mostly made up of restaurants. If you go there during a Saturday or Sunday during the summer, you will see a lot of people. On a November Monday, it was pretty quiet, which made it better for us. We wandered into a couple of stores there that were quite enjoyable. One was an antique store where I purchased a few old crocheted doilies. They will be a great embellishment on a quilt. The other store advertised handmade items. Many items were from the immediate area. The others were from outside the United States. I purchased a beautiful tote that was made in Nepal. The other item I purchased was a beaded necklace from Guatemala. Gorgeous. The pricing in the store was extremely reasonable. If you are over that way, take the time to go in and look around. After leaving Occidental, we drove into Petaluma and looked for a quilt store. Talk about finding a treasure! A Quilted Angel is one of the nicest quilt stores I have ever gone into. It was beautiful. I will write more on it later. Watch for it. Yesterday Elisa and I went to the Chico to see their quilt guild show. Wonderful show. Beautiful quilts. They had some great vendors. I am like everyone else that loves to buy kits from different shows. I bought a great one from the Red Bluff shop vendor. She and I talked a little and discussed stores. She is closing hers down, too. She hopes to have it closed by December; mine should be done before Thanksgiving. One thing I saw at the show that I had read about, but I had not seen it yet. Have you heard of the ribbon that you can iron on? It is beautiful and so easy to apply. I just do not know how permanent it is. I will be purchasing some and offering it on my website after the store closes. I will let you know if I like it. Do not forget to come in to the shop. We still have a lot of beautiful fabric and now it is marked down to 40% off! Can't beat it. Quilt shop, high quality fabric; notions; patterns and books. 40% off!!! Received a notice of Clothwork Textiles new blog site. Went to see what they had there and was quite impressed. Best of all there was a way to make flying geese easier than the old fashioned way. Go to http://www.clothworkstextiles.com/blog/ and look for the display on making flying geese. I have not tried it, but it looks really easy. 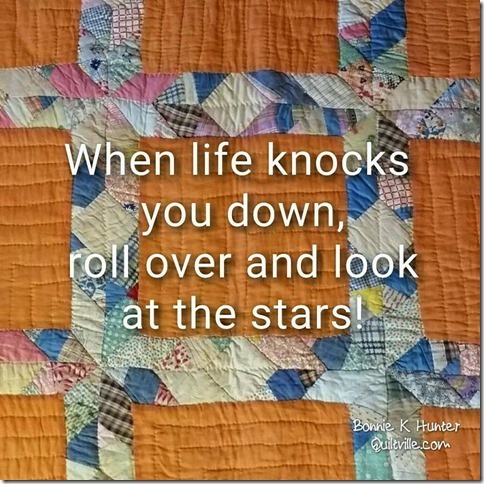 - I will be learning how to do long arm quilting and eventually taking on quilting other peoples quilts. - I plan on staying involved in the quilt world and perhaps even have an activity or two to do as the next few months come forward. But nothing will happen through me until after December. - Gil and I plan to travel soon--if no where else than to Eagle, Idaho to see my Mom (depending on the weather, Mom). - We do not know our last day will be. It will be when we sell all our product down. - We will maintain 35% off while sales are up. Then we will increase it to 40% off. Watch here. Come in to see us this week. 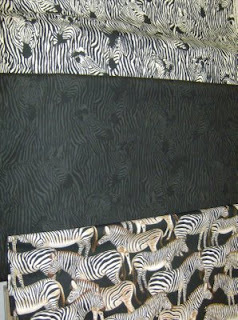 We have lowered all prices to 35% off (except pre-made quilts). You will be able to get those backings, patterns, books and great material at a great price. Bring in your UFOs to match up. Know that we have loved what we are doing. The economy is doing small businesses in. Had we been open a few years, we might have weathered this downturn. It was fun while it lasted. Watch for next week’s sales. They will be even more terror-iffic! Today we had a great class on how to make a very large Christmas Tree Skirt. Check out our class schedule, as we have some wonderful classes coming up. The closer we get to the holidays, the more classes for small quilts, Christmas count down wall hanging, family picture quilts, table toppers and/or runners, plus a wonderful chance to do charity unto others. 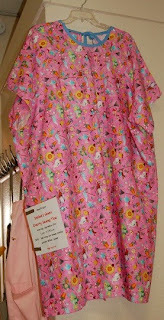 Charity with Project Linus quilts; turn in quilts for Quilts for Kids; and sewing on Debbie's Gowns that go to patients during difficult times. For these and all our classes, go to www.BeehiveQuilts.com/classes. We would love to have you join us. Received the following via an e-mail. Sounds interesting. Amazing Wonders: Quilts by African American of the Northern California Region is a celebration of quilt-making in the various traditional and nontraditional ways that the art has survived into the twenty-first century, and serves as a testament that the craft is still very much alive and well. For Amazing Wonders, in addition to working closely with Oakland’s African American Quilter’s Guild as well as local guilds here in Sacramento, Folsom and Elk Grove, the 40 Acres Art Gallery is pleased to be collaborating with UC Davis’ Richard L. Nelson Gallery, which will be simultaneously presenting an exhibit of African American quilts from a private collection. Curated by Felicenne Ramey and gallery director Renny Pritikin, the exhibit will be on view in Davis from September 24 – December 13, 2009, and will feature quilts from the collections of Avis C. Robinson of Washington, D.C. and Sandra McPherson of Davis. New fabrics are here. We have three new panels. One is filled with colorful pheasants that are stunning. One has old steam engines on it. The third is Americana birdhouses. We purchased other fabric to help coordinate it all. They are gorgeous. We also have some new Christmas and fall fabric. Come in to see them all. And more is on the way. We have purchased a short arm Juki sewing machine on a long bed! Elisa is quickly learning the ins and outs of it. She is currently working on a Halloween quilt top that I finished last year and never quilted it. It is looking great! Someday we will do charity quilts to get more practice--that is after I go through the tops I have made. Then if we feel good about our work, we will take in quilting consignments. This is an exciting addition to our shop. My daughter and I had the opportunity to go on the Northern California Quilt Run this past Thursday. It was fun. There were 9 stores involved running from Marysville to Redding. Because we only had limited time (and spent too much time in each store), we did not make it to the three stores in Redding. I wish we could have, but we can make a trip up there another time. Then we will go to the shop in Shasta City. I have heard great things about that shop. I must tell you, as a shop owner, I looked more at pricing, kitting, customer service and just general marketing in each of the shops. I truly enjoyed Marysville shop. They did a good job on all of the aspects I look at AND they had "stuff" I could not live without, too. Good job, ladies. I loved the shops in Paradise. Chico also has two great shops. The Rabbit Hole had panels everywhere. I love panels, as they make quick and easy quilts. I spent way more money than I had anticipated spending there. It was a fun shop to go through--tight at times, but fun. After Chico we made our way to Willows. It was a cute shop. Small but easy to get to off the freeway. They carried a lot of cowboy-type fabric. That is not they type of fabric I normally look for but if I ever want to make my brother in Texas a quilt, I would definitely go back there. The best part of the shop hop was if you purchased one of the hop's bags, you got 10% off of everything you purchased that day in any of the shops, which really helped. Plus with this bag, I will get 10% off all purchases through until the next quilt run in one year. Wow. I just have to remember to take the bag with me if I travel back up that way. Worst part of that, though, no one told me that in any of the stores. We had been to three stores before someone outside the store asked me where my bag was. This should be broadcast to all their customers with at least a sign where the bags are sitting. We did have a good time, and I learned many new ways of displaying product and how important it is to greet each and every customer. Friday! It is here and everyone is ready to celebrate a long weekend, I am sure. So come to the shop to see what we have on sale. The bolt rack that is just inside the front door has four different lines of fabric that is on 20% sale now until June 30th. Beautiful fabric. We received in new fabric. One set are the varigated fabrics for Diane Steele's Woven Silhouette class coming in June. Great colors. We also received in a solid black bolt that we have had several requests for, along with a solid white that is not muslin. We also have a new Asian print, footballs, and fairies. We received in our batting order that we were getting so low on. And a few new patterns. Come see what we have. I am slowly catching up with what everyone else is into electronically. This should be fun and will give you a chance to respond to what is going on, too. 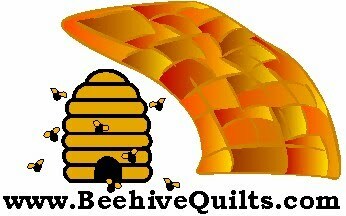 Beehive Quilts is a passion for me. I have loved it since we opened, which by the way was almost one year ago. On May 27, 2008, we opened to a wonderful reception. We had been working in the store getting it ready to open for a little over a month. Several of you wandered in to see what we were doing and to thank us for FINALLY opening a quilt store in Woodland. Thank you all for the wonderful reception we have received being here.